Product code: 1740 Categories: Sold Items, Sold Rings. 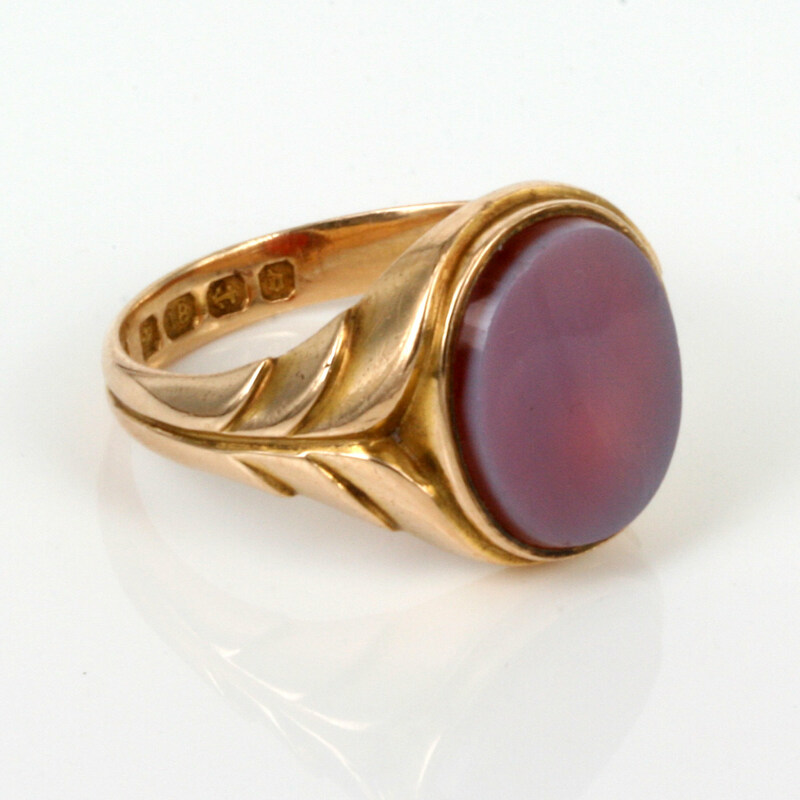 Here is a very solid wonderful antique signet ring set with an oval piece of sardonyx and made in 18ct yellow gold. Made in Birmingham 1878, this wonderful signet ring has such a wonderful classic style and look to it, and can so easily be worn everyday. The sardonyx itself measures 1.4cm by 1.2cm and sardonyx looks superb when engraved with an intaglio thanks to the two levels of colours that it displays. 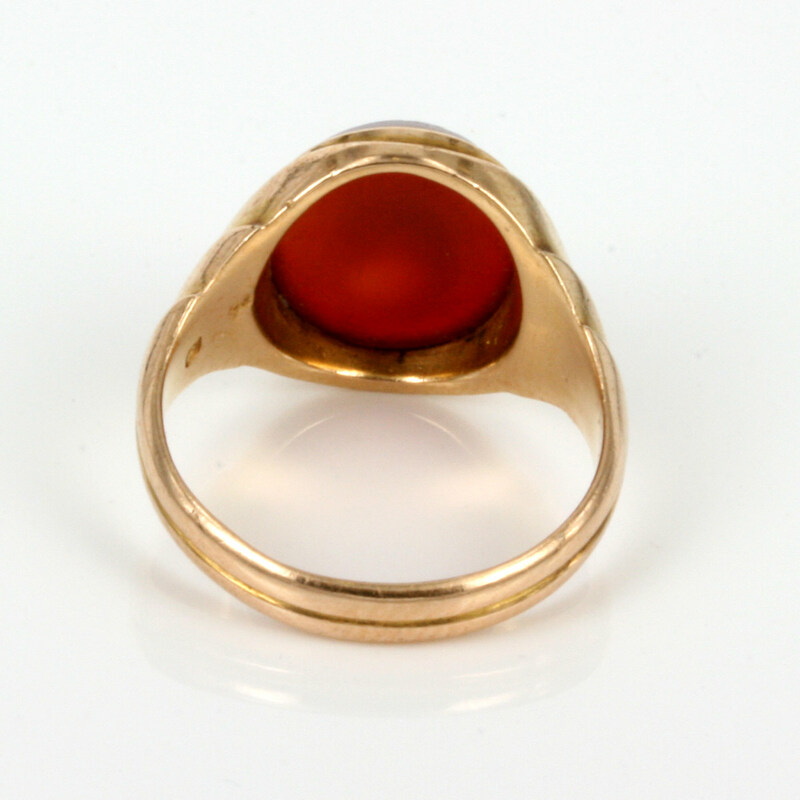 Antique signet rings have made such a comeback in recent years, and to think that you can easily wear a genuine 18ct gold antique ring that was made over 130 years ago is just wonderful.